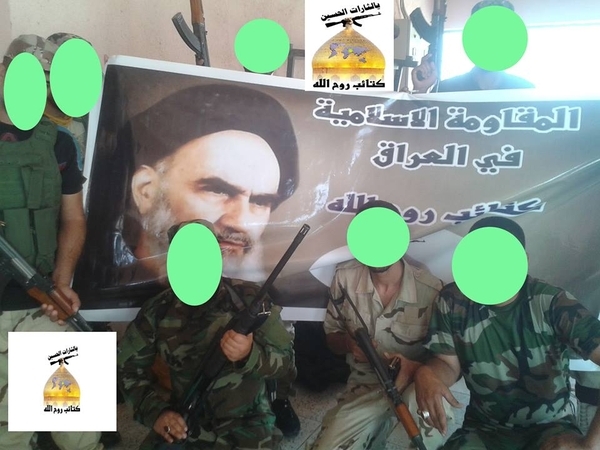 Featuring the familiar Shi'a militia self-designation: "The Islamic Resistance in Iraq." Underneath: "Kata'ib Ruh Allah." On left of poster: Ayatollah Khomeini.